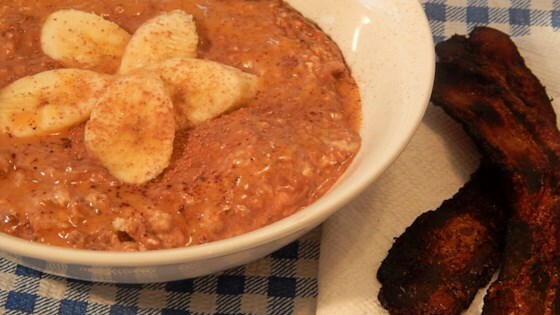 "A healthy overnight oats breakfast perfect for the King." Mix soy milk, Greek yogurt, oats, banana, honey, peanut butter, cocoa powder, chia seeds, and salt in a sealable Mason jar or container. Refrigerate for at least 4 hours before serving. Watch how to make super easy overnight oats! Substitute almond milk for the soy milk if preferred.